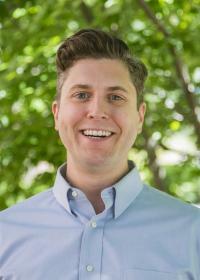 Zach Wendling is a Postdoctoral Associate at the Yale Center for Environmental Law & Policy. He joined YCELP in August 2016 as Principal Investigator for the Environmental Performance Index. He earned his Ph.D. in Public Affairs from the School of Public and Environmental Affairs (SPEA) at Indiana University Bloomington in July 2016, with major fields in Environmental Policy and Policy Analysis. His dissertation examined decision-making in energy policy. Before returning to academia, Zach worked in the private sector as a restoration ecologist, primarily on surface water ecosystems. He has a joint Master of Science in Environmental Science – Master of Public Affairs, also from SPEA, and a BS in Biology.